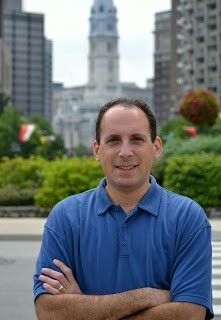 Every Tuesday and Wednesday during the month of May, we’ll be hosting a gluten-free guest blogger from around the web in honor of Celiac Awareness Month.Today we’re hosting longtime contributor Michael Savett of GlutenFreePhilly.com, who welcomes the new gluten-free food options on supermarket shelves. My family, like many of yours, celebrates Celiac Awareness Month not just in May but 12 months a year. There was no formal commemoration when our now 14-year-old son was diagnosed with Celiac Disease at age 3. Barely knowing how to swim, my wife and I were forced to jump into the deep end of the pool for a crash course on the gluten-free diet. The learning curve has shortened significantly since then. Newly diagnosed patients as well as gluten-free veterans are no longer limited to one brand of pasta and shelf-stable bread so hard you could build a house with it. There’s no question the fad aspect of the diet has helped to expand our options. (Thank you Dr. Oz!) Traditional products that do not have a gluten-free counterpart are now the exception rather than the rule – egg rolls and dumplings, sugar cones and ice cream sandwiches, croissants and pizzelle, soft pretzels and pierogies all come in gluten-free versions. Even holiday meals have become easier – from Passover matzoh to Thanksgiving gravy to Christmas panettone. The marketplace will likely shrink over time as those eating gluten free for non-medical reasons move on, but given the increased awareness and number of diagnoses there is no doubt demand will still be there. I’m certain that many food manufacturers will remain committed to providing variety. Back in 2003, I couldn’t imagine a company like General Mills would make most varieties of Cheerios and Chex cereals gluten free. It’s a bold new world out there – one that is much easier and better than ever for those with Celiac Disease and gluten intolerance. Michael Savett, a contributing writer for Gluten-Free Living and the publisher of the award-winning Gluten Free Philly blog, is the father of a teenage boy with celiac disease. Note: The views, opinions and positions expressed by our Celiac Awareness Month guest posters are theirs alone and do not necessarily reflect the opinions of Gluten-Free Living or its staff.